How to choose the perfect CMS for your website? When it comes to choosing a Web Content Management System (CMS) for your website, there is not just one right choice but many things to consider. It should allow you to easily manage content without the need for IT support. Here are some tips to guide you in choosing the PlanetHoster CMS that best suits your needs. Looking to create your own blog, but you don’t know how to choose the best blogging platform? This is a difficult choice because there are several different blogging platforms. How to find the one that suits you best? WordPress.org is the most popular blogging software in the world. Launched in 2003, WordPress now powers more than 30% of all websites on the Internet. WordPress.org is a free open source blogging platform that allows you to build your website or blog in minutes. WordPress.org gives you control over all aspects of your website, you can develop your blog and add additional features such as forums, online shop, and paid membership. This makes WordPress the best blogging platform to make money. There are thousands of free themes available for WordPress. This allows you to create a beautiful website that stands out from the crowd. You also have access to more than 54,000 free plugins. These plugins are like applications for your WordPress blog that allow you to add features like contact forms, galleries, etc. WordPress is user-friendly for search engines. You can easily create user-friendly URLs, categories and SEO tags for your messages. In addition, there are a number of excellent SEO plugins for additional features. With PlanetHoster The World VIP, get the free LSCache plugin for WordPress.org. Joomla is an open source software content management system, just like WordPress.org. It is also a solution hosted by yourself, which means that you will need a domain name and web hosting to use it. First published in 2005, Joomla now powers more than 2 million websites on the Web. Joomla is extremely powerful and can be used to build any type of website or blog. You can choose from hundreds of templates to customize your website design. Extensions (applications for your Joomla site) are available to add additional features. Magento is the most popular e-commerce CMS in 2018 with a 19.64% market share in the top 1 million websites. “Magento is an open-source e-commerce platform in PHP. The software was originally developed by Varien, Inc, a private American company based in Culver City, California, with the help of volunteers. PrestaShop is currently used by 250,000 stores worldwide and is available in 60 different languages. It is a free and open source e-commerce solution. The software is released under the Open Software License (OSL). It is written in PHP programming language and supports the MySQL database management system. A multi-product site with an unlimited number of categories. Ease of use. 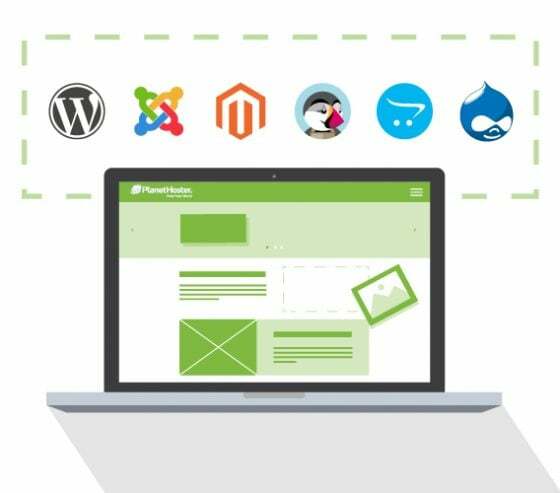 The free Prestashop solution is best suited to meet the requirements of small and medium-sized online business websites. With Prestashop, you can exercise complete creative control over your e-commerce site. You can refer to the Prestashop documentation available on the Cloud to customize your online store. With Prestashop, you can have better control over your online offers. With the PlanetHoster The World VIP offer, get the free LSCache plugin for PrestaShop. OpenCart is an online store management system. It is based on PHP, using a MySQL database and HTML components. Support is provided for different languages and currencies. Similar to other platforms such as PrestaShop, OpenCart has a very user-friendly administrative dashboard. It is easy to make changes to your store. As a famous CMS for e-commerce, OpenCart has well-discussed tools. A lot of information exists on Stackoverflow.com and opencart.com. It is easy and quick to make your site multilingual. If you don’t have a big budget or even the time to develop individual designs for your store, you can use ready-to-use templates. With the PlanetHoster The World VIP offer, get the free LSCache plugin for OpenCart. Drupal is the first CMS for web content management among global companies, governments, higher education institutions, and NGOs. It is an open source web platform, supported by a database, with a large community of developers from all over the world. Drupal has been one of the most secure CMS in the CMS market. It resists critical Internet vulnerabilities. Drupal can evolve according to your needs, especially if your website generates a lot of traffic. Drupal makes it easy for content authors to create and publish content on the site. Authentication and permissions bring efficiency to the editorial workflow and previews show exactly what your content will look like on different devices. Ready-to-use language processing support helps you provide localized digital experiences, saving you time and money. Drupal enables the development of responsive websites and applications to provide an optimal experience for online visitors. 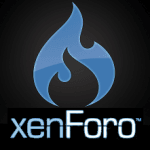 XenForo is an Internet forum software created using PHP as a programming language, MySQL and Zend Framework. MediaWiki is free software that organizations and groups can use to build a knowledge base. Some of the most successful organizations use an internal MediaWiki to store institutional knowledge and share expertise. The development of MediaWiki is supported by an organization with an annual budget. There is no need to worry that, in the foreseeable future, the code base will be completely abandoned by its developers and will no longer be maintained. MediaWiki was designed for high-traffic sites that are prone to vandalism, spam and other attacks. It is therefore secure. The MediaWiki user interface is possible in many different languages. MediaWiki has an extensible web API that provides direct and high-level access to the data contained in MediaWiki databases. MediaWiki supports rich content generated by a specialized syntax. The software has become more powerful to process a wide variety of downloaded multimedia files. With the PlanetHoster The World VIP offer, get the free LSCache plugin for MediaWiki. We hope that this guide will help you choose the ideal CMS for your website.